LOS ANGELES, March 16, 2018 /3BL Media/ - Good Sports has teamed up with FOX Sports Supports and FOX Sports Films’ MAGNIFY documentary “Shot in the Dark,” providing sports and fitness opportunities to the youth of Chicago. Supporters of the initiative can visit www.goodsports.org/shotinthedark to personally handpick sports equipment that will be directly donated by Good Sports to the youth programs in Chicago. 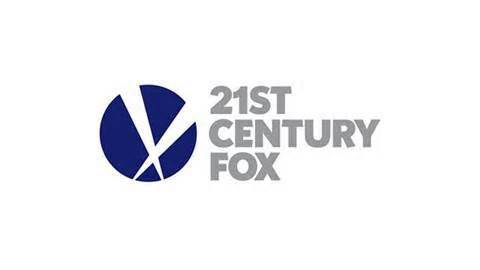 In addition, all donations made through the “Shot in the Dark” webpage will be matched up to $25,000 by 21st Century Fox. “In connection to these powerful, sports and community narratives, we’re committed to meaningfully working, within our FOX Sports Supports organization and alongside others, to help neighborhoods and schools capitalize on the awareness that ‘Magnify’ brings to the stories,” says Charlie Dixon, Executive Vice President, Content at FOX Sports. “Shot in the Dark” is produced by Los Angeles Media Fund, executive produced by Dwyane Wade and Chance the Rapper and directed by Dustin Nakao-Haider for Bogie Films, and in association with ZZ Productions . The film follows Orr Academy’s high school basketball team and its stars Tyquone Greer and Marquise Pryor as they aspire for greatness under inspirational head coach Lou Adams, facing systemic inequities that threaten to claim their future. Through incredible on and off-the-court challenges – from championship and collegiate aspirations to violence and incarceration -- they assess the daily voices and influences of teammates, friends and family on their next steps as young men. Following its original February 24 airdate, “Shot in the Dark” is available via the FOX NOW app and video-on-demand. Re-airs are also scheduled on FS1 and various FOX Regional sports networks. FOX Sports Supports has contributed millions of dollars to previous partners through the production of public service announcements, broadcast and cable air time, special event activations, verbal and special messages during FOX Sports programming and in-kind support, including monetary and gift donations. It has become the industry leader in raising awareness for worthwhile causes associated with youth, sports, education and military. In the last nine years, FOX Sports Supports has supported more than 40 charities, from tackling youth sports and environment issues to assisting military personnel and their families. Through its various media channels and on-site support, FOX Sports Supports has successfully helped generate millions of dollars in donations to these organizations. In addition, the PSAs have received tens of millions of dollars’ worth of air time across all 21st Century Fox channels, helping to support causes such as the Boys & Girls Clubs of America, Positive Coaching Alliance, Folds of Honor, Girls on the Run, National Alliance on Mental Illness and many more. For more information, visit FOXSportsSupports.com.